The sea has long been a source of sustenance for the people of West Dublin and all of Nova Scotia. The Mi’kmaq introduced European settlers to the local species of crow’s feet or salicornia. 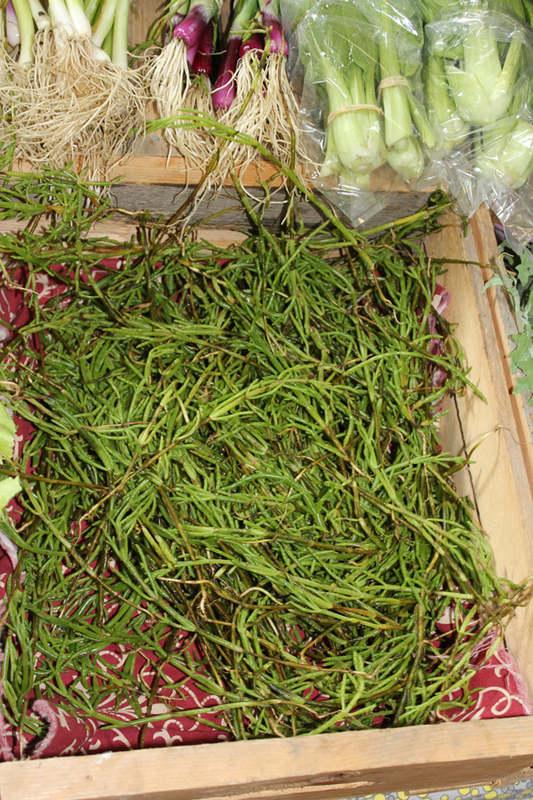 Also known as sea asparagus, herbe de Saint-Pierre or samphire, the savoury culinary herb grows along our coastlines and is currently available from Hill Top Farm Saturdays at the West Dublin Market or at the Thursday/Friday farmstand next to the Petite Rivière Fire Hall. It’s also known as glasswort, for its use as soda ash in Victorian glass and soap making. Whatever you call them, the naturally salty and nutritious vegetable can be snapped from their stems and eaten raw in salad or steamed to get the wood out and served like spinach or chard with lots of butter or oil, with no need to add further sodium. Enjoyed around the world, salicornia is especially beloved in this province. The green is in season from mid-July through late August and this local edible is worth a try or two.